Or washes them down with one of the region’s best grands crus while live Jazz plays in the background. Within the walls of this 19th century Chateau, French “Art de Vivre” takes on all its significance. 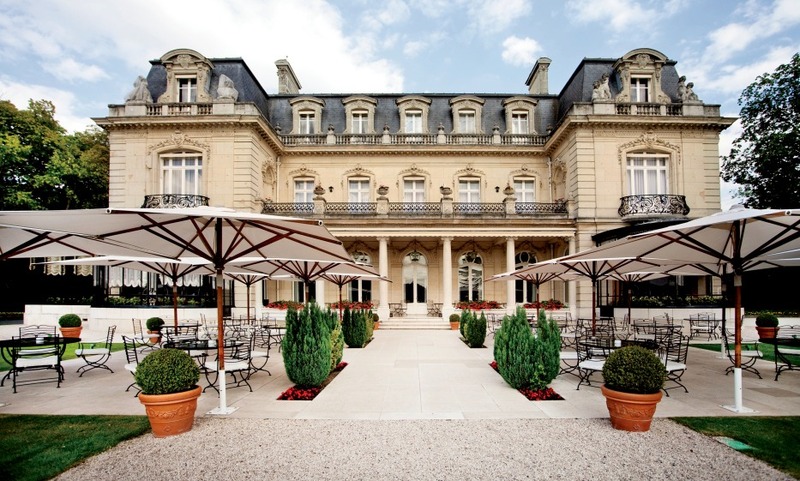 Found in Reim’s Champagne region, the Domaine Les Crayères is also surrounded by the world’s best Champagne houses - Tattinger, Veuve Cliquot and Pommery - and UNESCO heritage sites like the Abbey of Saint-Remi are only minutes away. They’re tempting enough reasons to step out for sure, but staying in might prove even more so. Designer Pierre Yves Rochon’s world of Rococo and Belle Epoque designs are palatial. Enough to expect staff to courtesy when crossing you in the corridors. Not that they have to. The service is flawless, discreet and formal, and befitting of the hotel’s history as the former de Polignac family home. Absolutely a top 10 hotel with wonderful staff, facilities and service. Truly outstanding - hugely impressive hotel. Faultless and hugely friendly. Accommodated very early check in brilliantly. Will come back! Absolutely Fabulous. I have stayed in hotels all over the world. This was most definitely the cream of the crop. Extremely well decorated. Nothing but class. Chateau Les Crayeres was a fantastic hotel. Luxurious in every way and to the highest of standards and service. Would highly recommend to anyone visiting Reims and the Champagne area. The food and service was out of this world. We probably had the best meal we had ever experienced in Le Parc restaurant. Les Crayeres is an exceptional establishment both in accommodation and in dining experience. The service from staff members is second to none We would recommend Crayeres to anybody seeking to be well looked after in Reims and the surrounding areas. Amazing experience. One of the best hotels I've ever stayed in.